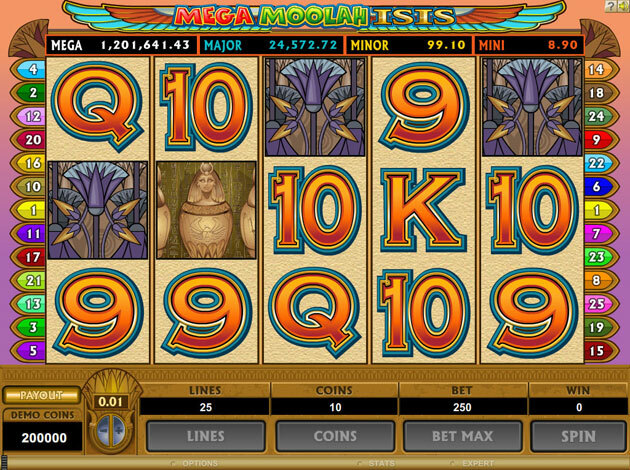 The Mega Moolah Isis video slot is the fourth slot machine of the mega Moolah progressive jackpot network. Like the two earlier slot games of this network Mega Moolah Isis has been created by superimposing the Mega Moolah progressive jackpot on an existing slot game, in this case Isis. Isis is the ancient Egyptian Goddess of Motherhood and Fertility. The symbols on the reels are deep rooted in Egyptian mythology. Isis is the wild symbol and Hawk is the scatter symbol. The other thematic symbols are Ankh, Vase, Orb, Brooch and Lotus. The graphics and cool style symbols will turn your slot session to a worthy experience. The, by now classical Mega Moolah symbols, high value cards from 9 to A are of course also included. Crafted in great detail, all the symbols in Mega Moolah Isis are almost identical to the symbols in the original Mega Moolah. The Isis symbol offers the highest fixed jackpot of 10000 coins. It also acts as a multiplier and doubles payouts when acting as a wild symbol. 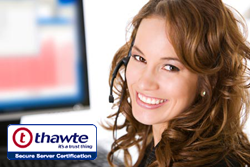 The Hawk symbol offers scatter payouts, the maximum of which is 600 coins. This symbol also triggers free spins with a 6 times multiplier. Three scatter symbols offer 11 free spins, four scatter symbols offer 25 free spins and five scatter symbols offer 30 free spins. Good luck at this super-videoslot!